Published on 26 August 2012. 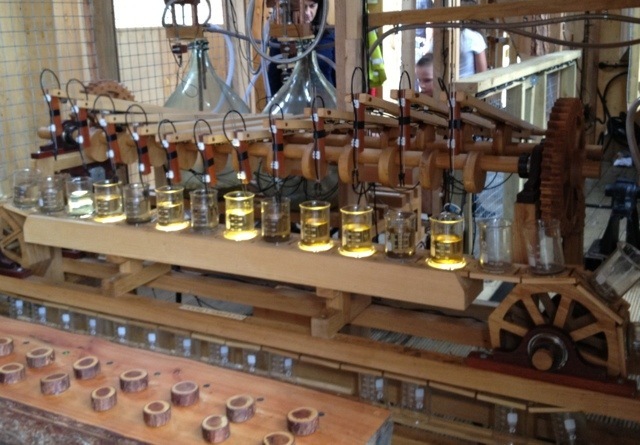 This is part of ~Flow, floating electro-acoustic musical machinery powered by the River Tyne. ~Flow looks a bit like a floating shed moored at Newcastle Quayside, but has intriguing musical innards which produce music according to various aspects of the Tyne’s character at any given time, from its salinity to its turbidity. Apparently, the recent flooding in the North East broke bits of it, but I think they’ve been fixed now. ~Flow forms part of the London 2012 Cultural Olympiad, and was created by the Owl Project and Ed Carter. This 1,781st post was filed under: Photo-a-day 2012, Newcastle-upon-Tyne.